Obligatory “you spelled quadcopter wrong in the headline”, comment. A before U, unless after Q, or in sounding like Fail, as in “QaudCopter”… thanks, fixed! Never had my quad’s body break on me, but I go through a ton of propellers. Those could do with some more forgiving materials. If you get the right props, they are! Gemfan ABS props can be bent back and forth a few times before they give out. maybe flexible rubber blades with a memory metal skeleton? I would imagine that this frame would help absorb some of the forces which cause the prop breakage… it may not help every time, but I would think it is better than nothing. Haha! That is a bad speeling eror. The possible reason behind the error is actually very interesting, your left had can react faster that your right so when your brain’s language centre outputs UA the sequence can get executed by your fingers as AU. Actually I’m just really bad at spelling, and wholly dependent on spell check. 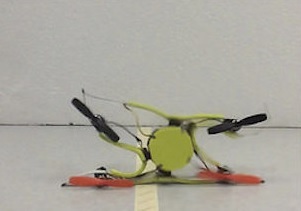 I wonder how well that idea will scale up to a multirotor with brushless motors. Low voltage alarm triggered 100 meters up, then when bringing it down the battery gave up about 20 meters from the ground. Not the end of the world as I have two more of those quads plus a spare shell. Thankfully all the electronics still work but the trickiest part will be fixing the gimbal, the magnet for position sensing on the yaw motor came loose so I have to re-align it, which means a laborious trial trial and error loop consisting of: taking it apart, rotating the magnet a little, putting it back together, powering it up and seeing if it points in the right direction, if not start over. Sometimes it itches that HAD assumes their readers are all well positioned enough to play with electronic toys. Living in a Eastern European country where the minimum wage is around 356 USD it took years before I’ve seen a drone/copter in real after HAD published articles about them. 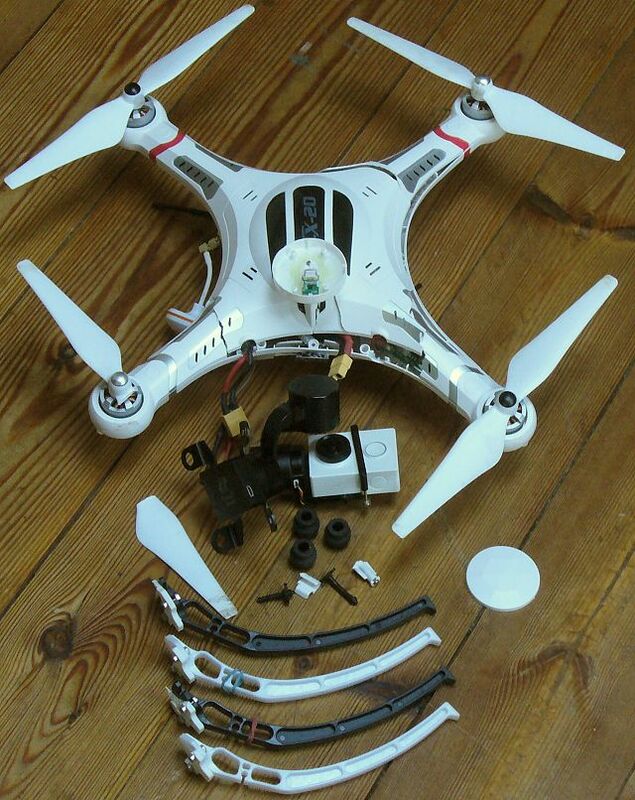 The quad-copter in question was University owned…. Never seen anyone play with one in the fields. Doesn’t mean that there aren’t any but not as widespread as for example W-Europe. My guess is that a lot of readers come here to dream about possibilities and marvel the Western consumption society where people have time and money enough to create things with little purpose. To then write articles that sort of makes them feel out of the loop could sting a little. Extremely pleased that my first ever tip submission was picked up! Interesting concept, will be interesting to see how this scales up to larger craft. Would be great for beginners.